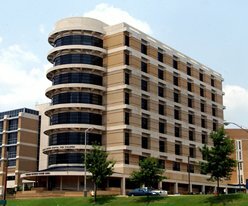 Batson Children’s Hospital is the only medical facility in the state devoted exclusively to the care and treatment of sick and injured children and adolescents. The hospital averages 9,000 admissions a year and nearly 80,000 children are treated in its clinics and emergency room annually. Patients come from all of Mississippi’s 82 counties to receive comprehensive medical care for everything from common childhood illnesses to serious trauma and life-threatening or chronic illnesses.